You can’t bear to visit the Napa Valley without stopping at Huge Bear Wines! Housed in the Calistoga National Bank building in downtown Calistoga, the Huge Bear tasting room offers the most exceptional handcrafted wines with grapes sourced from some of California’s finest vineyards. The winery’s long-standing reputation is upheld by the passionate people that make every customers’ experience positive and enjoyable. Thomas Jefferson said, “Good wine is a necessity of life for me,” and Jay Corley, founder of Monticello Vineyards, wholeheartedly agrees. Producing 15,000 cases of premium wine each year, wine enthusiasts concur that Jefferson’s statement rings true from the estate-grown Cabernet Sauvignon and Chardonnay produced at Monticello since 1980. If exceptional wine isn’t a compelling enough reason to visit Monticello Vineyards, the winery’s 360-degree view of the Napa Valley makes for an overall exceptional experience. 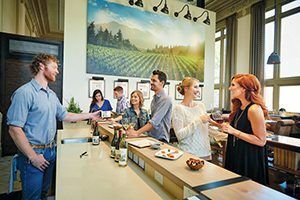 Ride along with Napa Valley Tours & Transportation for a customized itinerary and wine tasting experience tailored distinctly for each client’s interests and needs. Enjoy a relaxed, yet sophisticated experience as you’re driven in a stylish car by a Napa Valley Ambassador who shares a vast amount of information about this legendary wine country and the best wineries to visit. You’ll make the best use of your time with Napa Valley Tours & Transportation as your guide. 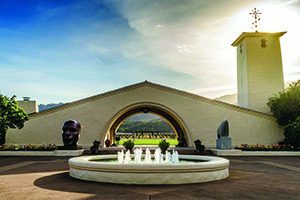 As the quintessential destination of the Napa Valley, Robert Mondavi Winery embraces the wine, food, and art lifestyle with 50 years of winemaking. The art of fine winemaking is celebrated daily at the winery. In addition, the grounds hold an exquisite cultural center, with visual arts exhibits, concerts, book signings, and culinary pairings. 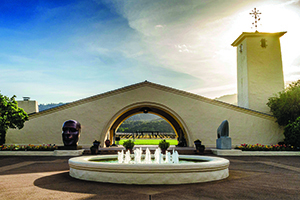 Robert Mondavi continues to set the bar for excellence with wines that win international acclaim. “Beau lieu,” or a beautiful place retains its name and legacy with a respect for classic values and the art of craftsmanship. BV is one of the only wineries in the Napa Valley that does not require an appointment to taste a selection of vintage wines. The impressive library showcases Georges de Latour Private Reserve Cabernet, first made in 1936. Each year, BV releases yet another splendid elegant and complex vintage of this storied wine. 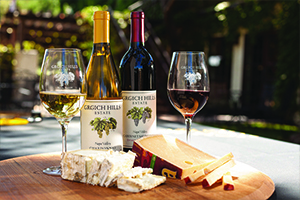 Recognized as a leader in natural winegrowing and sustainability, Grgich Hills Estate continues to receive international awards and acclaim around the world. Celebrating its 40th anniversary this year, the winey will release an exclusive 40th Anniversary Chardonnay that illustrates the advancements the winery has made in vineyard and winemaking techniques over the past four decades. Be sure to put Grgich Hills Estate on your “must-visit” list. All you need to celebrate the spring weather is a picnic with wine and friends and V. Sattui Winery, Artisan Foods & Italian Marketplace has it all. It’s easy to pass an afternoon on these iconic grounds. The Marketplace features 200 artisanal cheeses and a portfolio of over 60 wines! Sip, learn, and savor with mind-blowing wine and culinary pairings created daily in the kitchen. The following article was provided by our contributing partner – Touring and Tasting Magazine and Napa Valley Vintners.